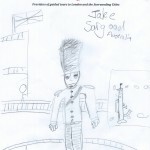 We receive so many fantastic drawings from children on our tours to London and this month we would like to share the talented illustrations of our younger artists Harry and Jake Sargood from Australia (ages 10 and 11) on their visit to the Tower of London. 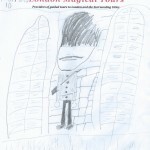 Children are encouraged to draw their favourite parts of London and the very best will be featured on the London Magical Tours Blog and entered as finalists, with the winners receiving a special prize in time for Christmas 2014. Keep reading the blog for updates to see our young artist’s work throughout the year! London activities, London Art Competition, London book for children, London book for kids, London Family Tours, London for Children, London Guide for Children, London Information, London Tours Children. permalink.